Beautiful 4 bedroom, 3 bathroom home with Open Concept Living and Dining areas off the Kitchen. 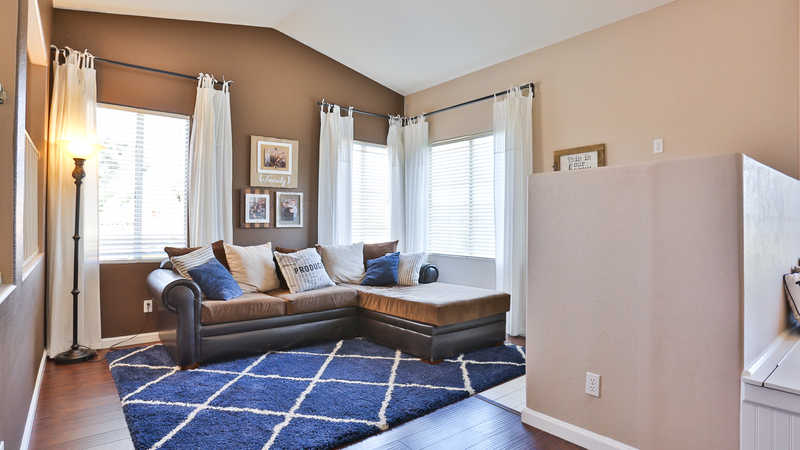 This Beautiful Home is conveniently located just off Foothill Parkway close to schools, parks, and shopping. This tri-level home with large tiled entryway has recessed lighting, high ceilings and a Flex-room, currently used as a 5th bedroom. The Living area has wood like flooring throughout & gas fireplace that opens to the Dining and Kitchen areas. Dining area has a custom built bench seating with storage. 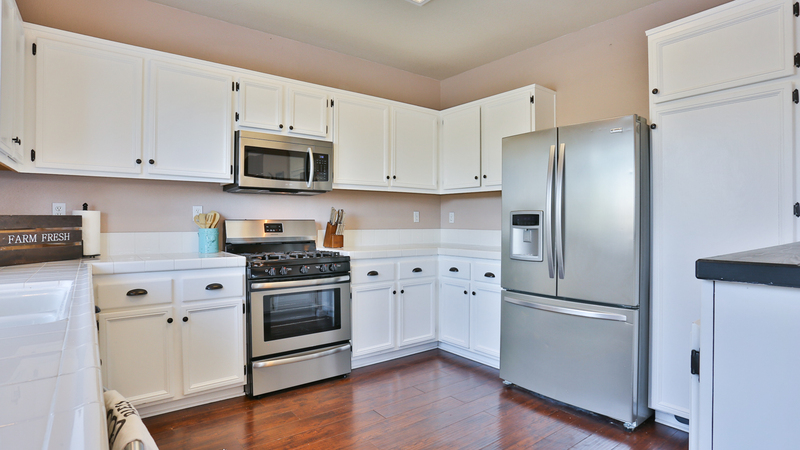 The kitchen features stainless steel appliances & breakfast bar with rustic wood countertop. Just off the kitchen is the patio with peek-a-boo views of the mountains. 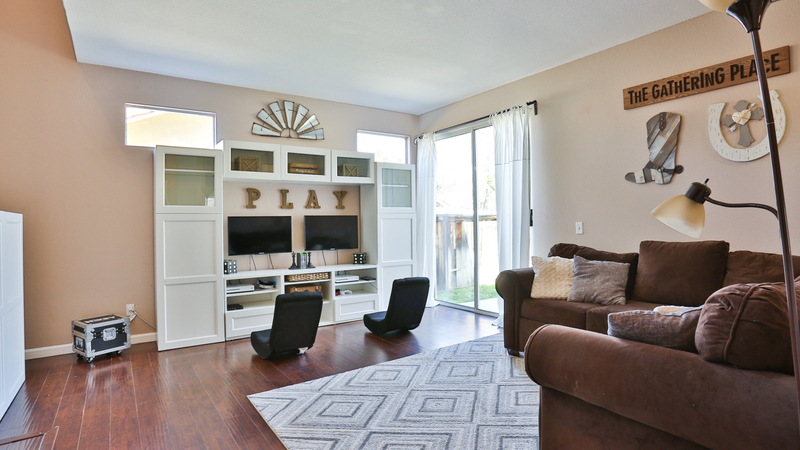 Downstairs is a spacious family room with access to the backyard. 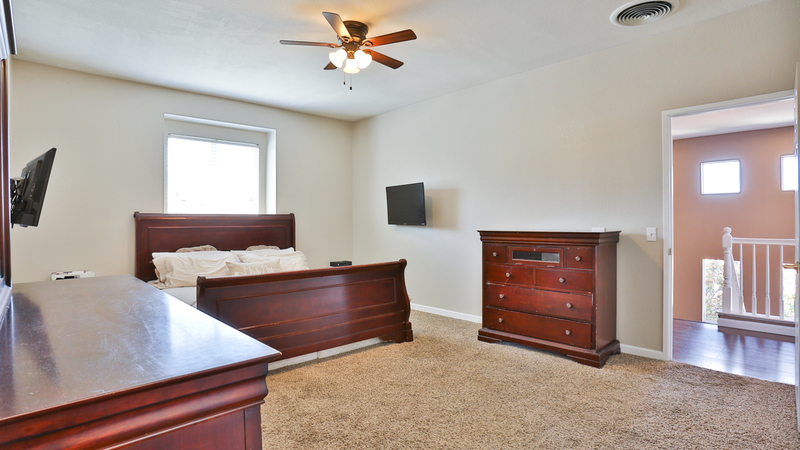 The 3 remaining bedrooms have carpet and share a full bathroom. The laundry room is conveniently located downstairs with direct garage access. The two car garage also has direct access to a large storage area. The backyard is spacious w/concrete patio great for entertaining & large raised planters that run along the back and side of the home for the green-thumb gardener in the household.